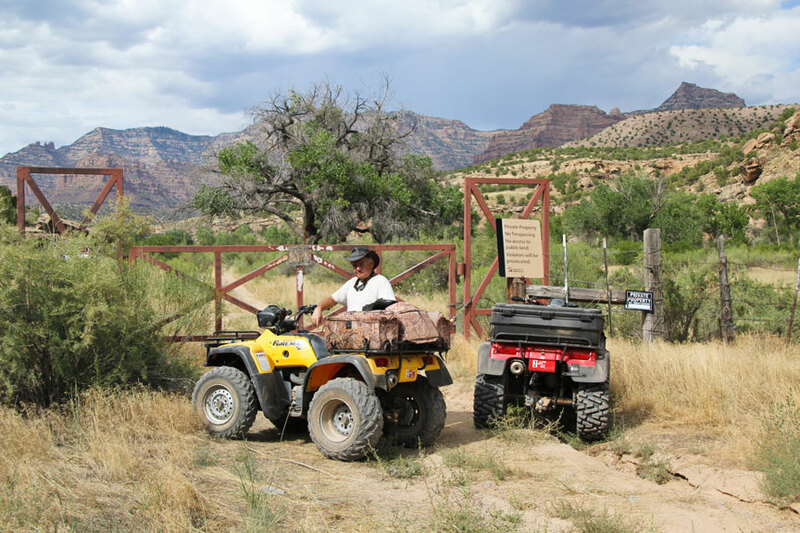 While waiting for Fall temperatures to cool off southern Utah so we could do some hiking without melting away, David and I decided to spend Saturday on ATVs exploring the Book Cliff area south and east of Sunnyside Utah. After unloading the ATVs in Horse Canyon, a short distance southeast of Columbia Utah, we took the Turtle Canyon road east and south to the rim of the Book Cliffs. 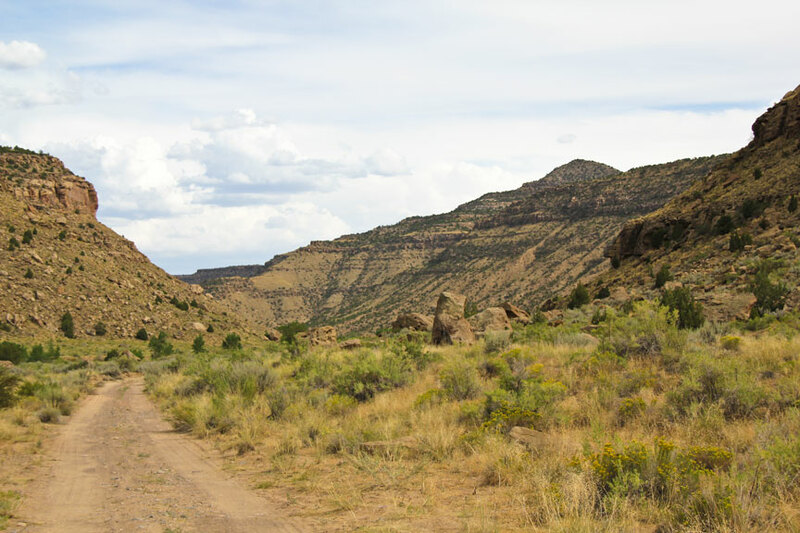 The rough and badly rutted dirt road (sometimes just a jeep trail) then continues south along the rim country from many miles before turning east. 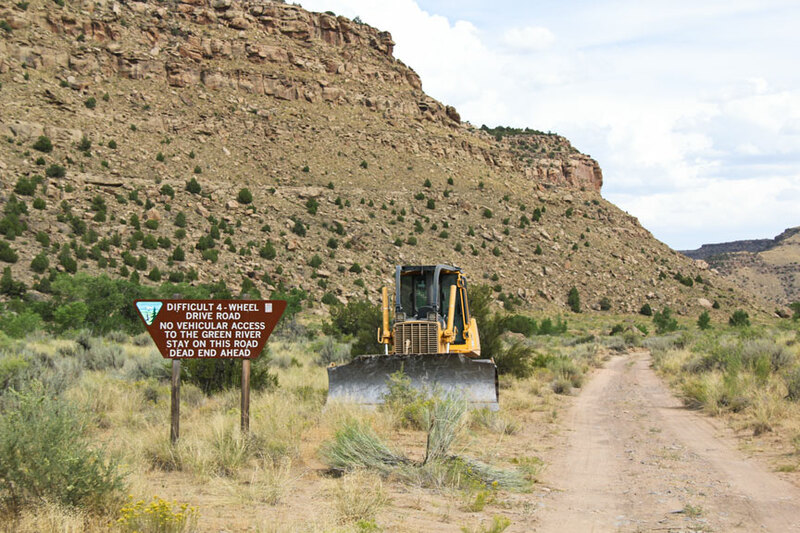 It had looked like the road down Turtle Canyon had been recently graded but subsequent storms had undone the work. 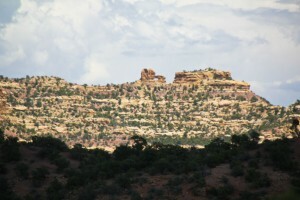 Near the road’s summit, as it begins to drop down Turtle Canyon, we stopped to take telephoto pictures of the class “C” natural arch called Foot-in-Mouth Arch located about two miles away from the road in rough country. 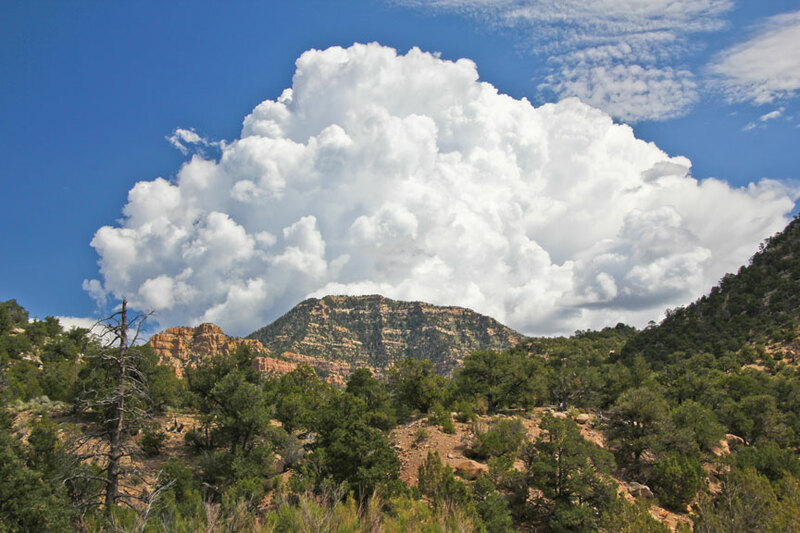 So far, the day had been mostly clear with thunderheads building to the east as the heat rolls off the low country and is pushed up the Book Cliffs. The road took us around any storms that were brewing and a little breeze helped keep the no-see-ums and face fly swarms down. 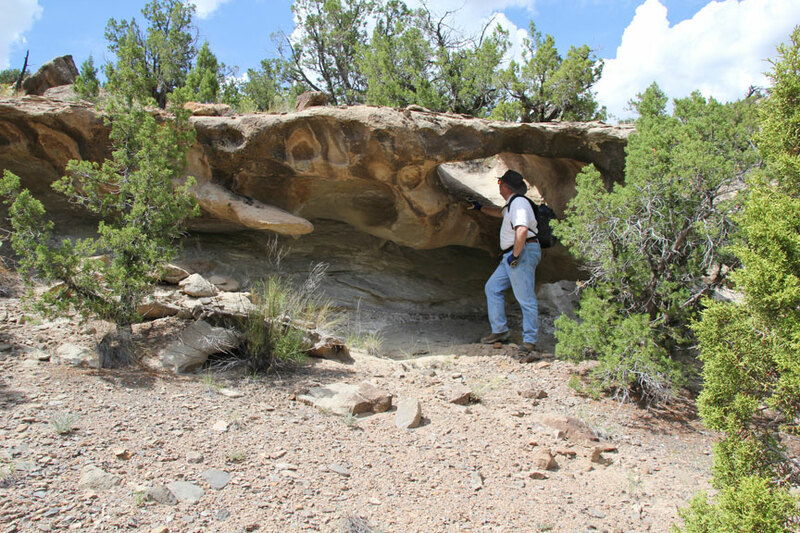 We stopped several times while descending Turtle Canyon to examine small class “D” arches but we didn’t find anything of any real interest. 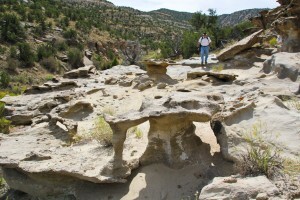 One layer of strata had a number of interesting “Table & Chairs” rock formations. At the bottom of Turtle Canyon, the canyon joins Range Creek several miles northwest of the Green River. 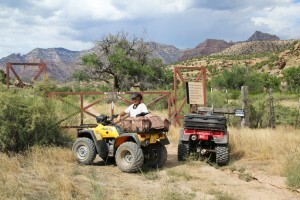 We drove up to the locked gate for the south end of the Wilcox Ranch (now owned by the Utah Wildlife Resources) before turning around again. 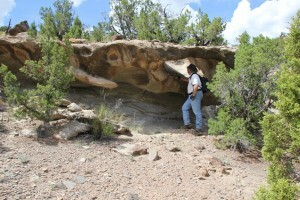 Near the south gate, we had to check out a deep alcove on the far side of the creek but it didn’t turn out to be a natural arch. As we walked over to the alcove, I saw several old cougar tracks. The last time I was in Range Creek on a tour organized by the college in Price, they mentioned a couple of old bull buffalo that roamed the area near the Green River. 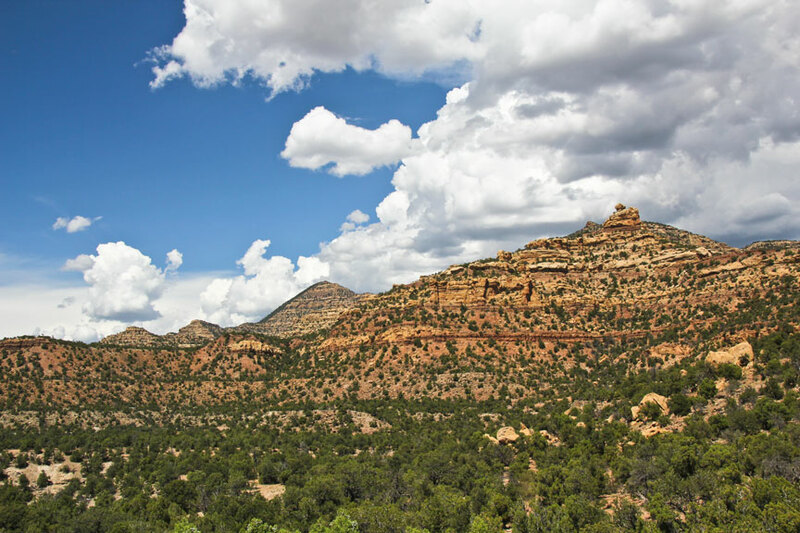 This area of Utah is indeed remote… and beautiful. Near the Turtle Canyon and Range Creek intersection, we found the road grader that had probably been doing the road work earlier in the year. They needed to gas it up and do it all over again. Unfortunately, it was also HOT at the lower elevation. We were looking forward to climbing back up to cooler altitudes. We now had almost a 30 mile trip on rough roads to get back to our vehicle. When we stopped for sandwiches near the summit, David mentioned that his backside was about to fall off with all of the the rough riding. I told him that I had better ride behind to pick up the pieces that fall off. I believe that is called “bringing up the rear”. On the long ride back, the black clouds tried to get even more serious. While we watched a number of lightning strikes and rain dropping to the north and east of us, we enjoyed a clear and uneventful ride. Back at the vehicle, we could tell that it had tried to rain in that area but not enough to even settle the dust. 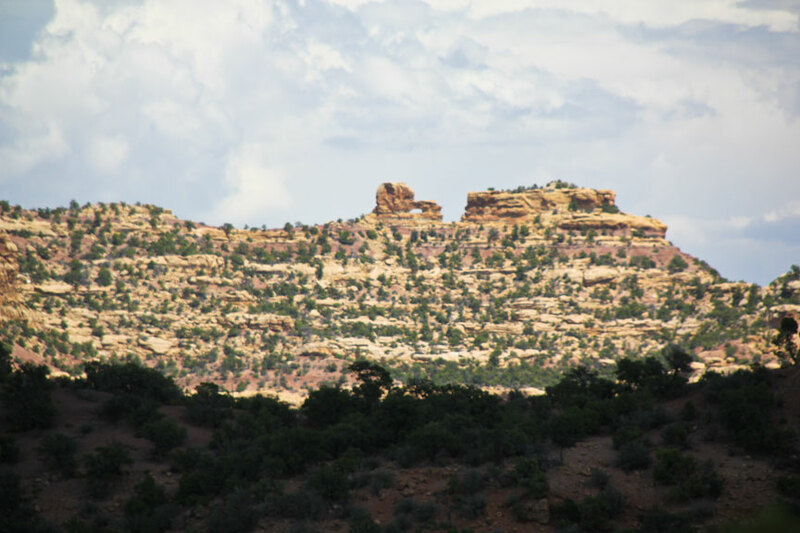 While we had driven in with the ATV trailer on the Horse Canyon road from the Price to Green River highway, we drove out via Columbia Utah and then the Sunnyside Utah road. Near Columbia, we noticed a sign for the “Range Creek ATV Trailhead”. We had not heard of this so we pulled in to see what the setup was. 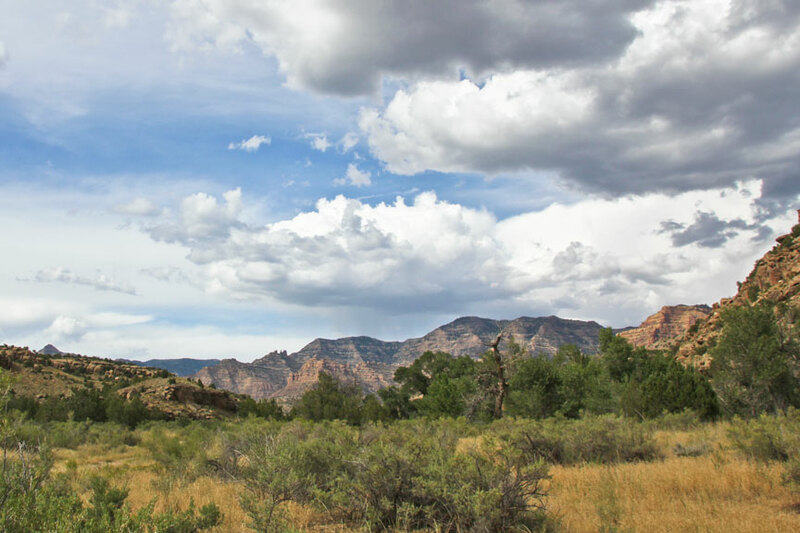 We found a developed campground with restrooms and a playground. Nearby was the old abandoned Carbon County Railroad station. That was interesting and required a walk around to take some pictures. 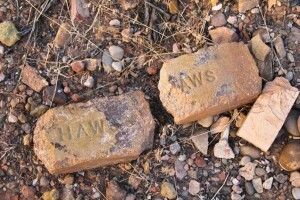 However, we were not prepared to see some very unusual structures just to the east of the old station building. 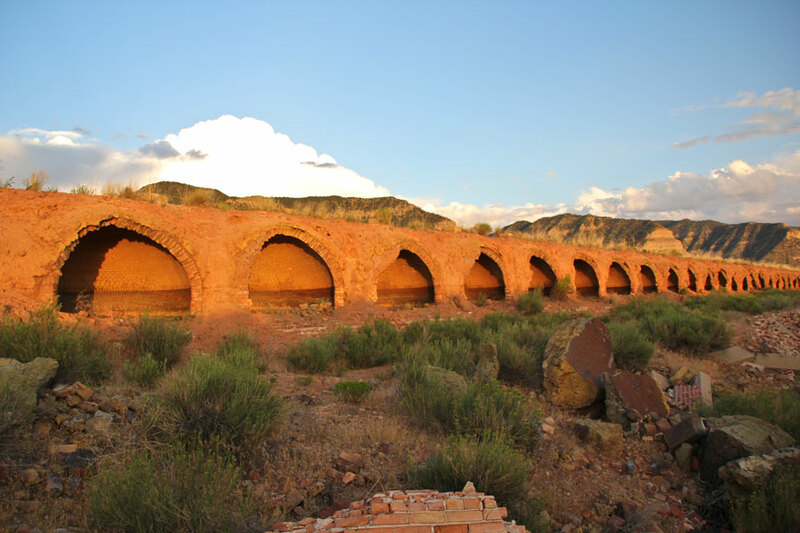 Here we found several rows, each row about a city block long, of shell shaped kilns made of bricks and built into a continuous row. 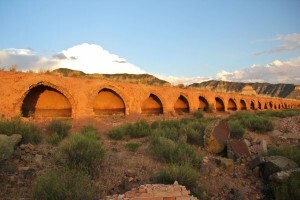 Between the rows of kilns was a railroad grade low enough to allow the kilns to unload directly onto rail cars. 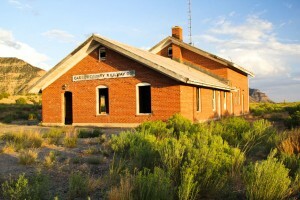 This was an interesting piece of Utah history that I had not heard before. Meanwhile, the sun disappeared over the horizon and we headed for home. 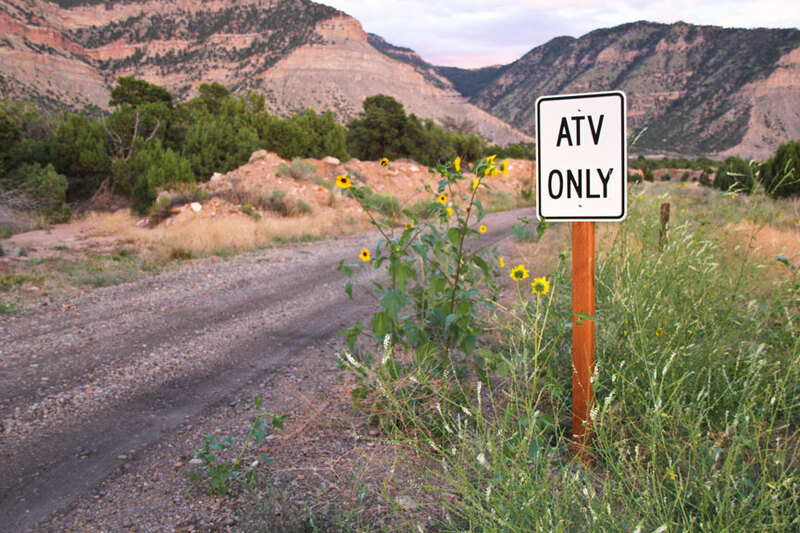 Total ATV mileage = 57.1 miles.